Tunisia: raise your hand if you have understood something! Economically, everyone, at home and abroad, agrees that nothing goes better. The Tunisian currency is adrift. The twin deficits (commercial and budget) are widening. Inflation is starting to rise again. Prices too, and in sectors where the slacking sometimes exceeds 20%. From investment, FDI and local, only good intentions remain. The Tunisian debt reaches historic levels and puts Tunisia at the 74th rank out of 137. Bank interest rates become prohibitive and the BCT never stops raising its key rate … And yet! Tunisian banks, supposedly sick and lacking resources, are still making more profits. Supermarkets and hypermarkets are making even more profit from year to year. Franchises explode like mushrooms in an increasingly commercial entrepreneurial fabric. The fact is that the Tunisians buy and do not deprive themselves of anything, not even salary increases that become recurrent, exceed all the global ceilings, in a country where the industrial production index fell again by 0.5% during the 4th quarter 2018. It is as if Tunisia knows no crisis. As if the BCT, IMF, WB and all the rest are wrong and that Tunisia is fine, while unemployment refuses to fall below 15% and that 40% of young people work in the informal sector and where they earn much more than it is they were in an organized sector, strongly affected by strikes and incessant social movements. 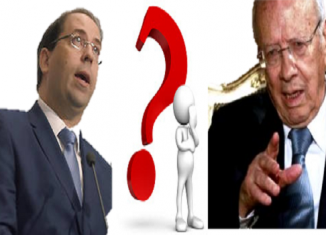 Extensions of the state of emergency follow each other, until almost making Beji Caïd Essebsi’s term that of the state of emergency. This, without saying that these are actually justified by the terrorist threat, but this time born of the return of Tunisian terrorists from conflict zones. 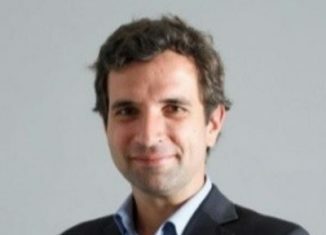 And yet, Tourism is recovering again and René Trabelsi is more than confident and looks forward to the future. All agree that there is no better than themselves. Politically, Tunisia is entering its second presidential and legislative elections, still without a Constitutional Court. After 8 years of revolution, Tunisia has 216 political parties, all filled with oversized egos and who still cook, at a few months of elections, improbable coalitions. The two parties in power are upset, since the end of the BCE-Ghannouchi agreement. The Islamist (Ennahdha), strongly organized, is preparing feverishly, and although shaken by the latest revelations about its secret apparatus in connection with the political assassinations in Tunisia, for the next elections. The civilian (Nidaa Tounes) is dispersed between father (BCE), son (HCE) and the child prodigy (YC) and still cannot hold its founding congress. The Prime Minister still sits in La Kasbah under the crossfire of all the opposition and even partners, who accuse him, because of his work in the government, to make his own campaign by the few achievements that he is sometimes allowed to materialize. 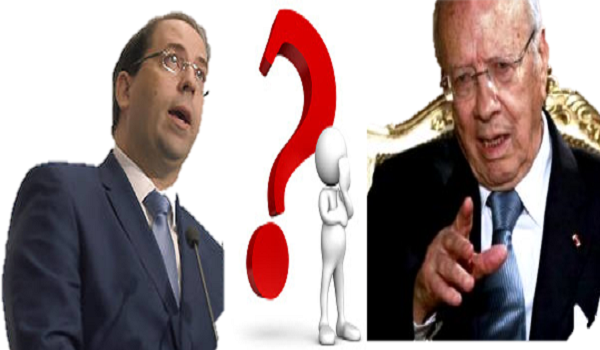 Youssef Chahed remains as a shadow of Tahya Tounes. He is its image, the standard bearer, but does not appear in the image on the Tunisian political scene and no one knows if he will be a candidate and which part of the Executive to be born of the next elections. Former political forces, like Afek, are falling apart. Others like Kamel Morjane’s Moubadara are barely reborn, while the Destourians are still looking for Abir Moussi to be the Superwoman of the next election. Elsewhere, old and new political faces are debating, consulting and converging. In the meantime, the starting blocks for the presidential elections are being filled every day a little more. The last is the banker of the Popular Front and chairman of the Finance Committee at the Parliament Mongi Rahoui. That candidacy already divides the ranks of the Front. And yet, everyone pretends that everything is going well in the land of the Jasmine Revolution. MPs pretend that everything is normal in the country and as if there was no economic or financial crisis. They block, or forget to deal with, all the reforms that could allow the economy of their country to rebound. In the meantime, all the polls warn against the rate of electoral absenteeism. That rate would plunge Tunisia even more into political and electoral uncertainty. We cannot end without drawing attention to the fact that the elections taking place between October and November 2018, all, including the current members of the Parliament, should engage well before these dates in the election campaign. Who will take care of the 2020 budget and finance law? And if BCE and Chahed stand candidates who will then run the state and the government and who will take care of something other than his own campaign and that of his political party? The same Tunisia expects at least two tranche releases (including one late since 2018) from the IMF’s “Extended Fund Facility”. 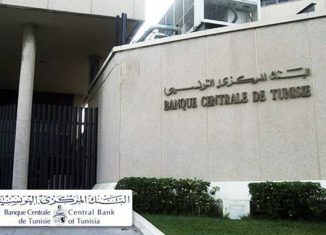 The IMF is waiting for Tunisia to meet the latest conditions. These must be concretized in laws and governmental measures. Who will take care of it when everyone has in mind only the result of the next elections? The Spring IMF and World Bank meetings are expected in a few weeks. What has been prepared to ensure the continuity of international assistance? It will also be necessary to convince the IMF and the rest of the donors that the next government will give the same guarantees as the current one, to ensure the continuity of international support. Good luck just to pay salaries and import our needs without international help!